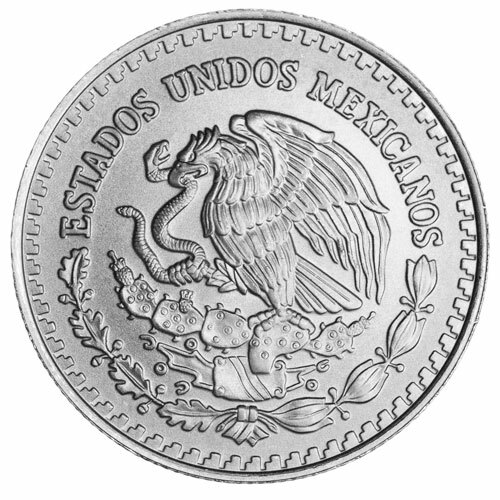 Silver Mexican Libertad coins are available on an annual basis from the Mexican Mint as the official silver bullion coin of Mexico. These coins are struck each year in a total of seven weights, with various finishes available as well. 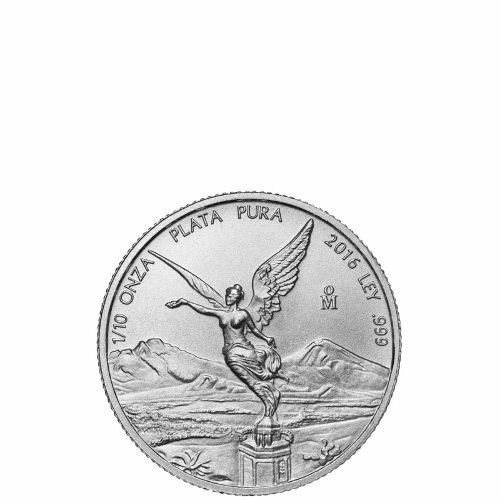 Today, the 2016 1/10 oz Silver Mexican Libertad is listed on Silver.com in BU condition. 25th annual 1/10 oz Silver Mexican Libertad coin! Ships in a plastic flip to protect the coin’s condition. Obverse bears the image of Winged Victory. Reverse features the modern Mexican coat of arms. The Silver Mexican Libertad program has grown increasingly popular as it has diversified over time. Originally available in just one weight, the addition of four fractional-weight coins and two large-weight coins attracted a wider range of investors with differing financial strengths. Since the introduction of the fractional-weight Silver Libertads in 1991, the 1/10 oz Silver Mexican Libertad has proven the most popular of the smaller coins in the series. With few exceptions, it has either outsold or matched the demand for the other fractional-weight coins in the series. In 2015, the 1/10 oz Silver Mexican Libertad outsold the 1/20 oz. option by 1,500 coins, with 19,900 compared to 18,400. 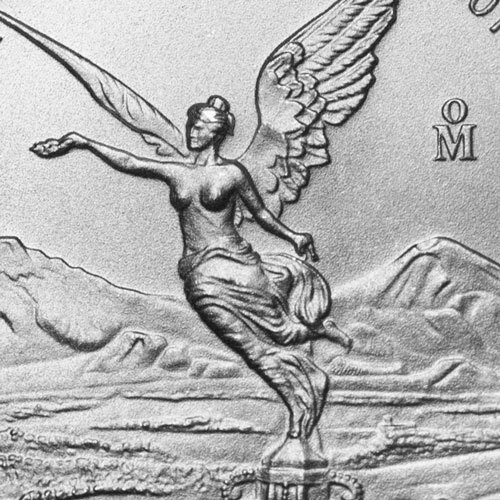 On the obverse of each 2016 1/10 oz Silver Mexican Libertad coin you’ll find the image of Winged Victory on the surface. Known as the goddess Victoria, she is representative of victory in battle and came to prominence in Mexico during the war of independence with Spain. 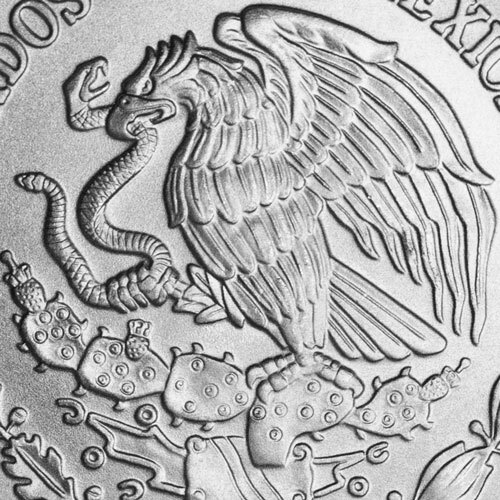 The reverse side of the coin features the modern coat of arms for Mexico, which depicts a Mexican eagle battling a snake while perched on the branch of a cactus. The symbolism here is reflective of the nation’s battle to free itself from Spanish oppression. 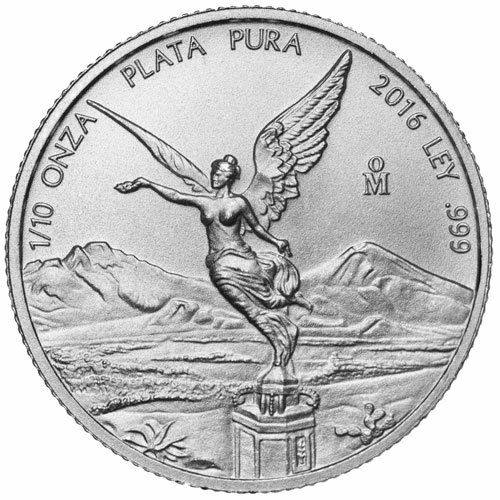 Each 2016 1/10 oz Silver Mexican Libertad offered today is a BU coin. Products in Brilliant Uncirculated condition exhibit no signs of wear and tear, though you may notice minor issues such as breaks in the luster, spotted surfaces, and contact marks from striking. If you have any questions about these Silver Mexican Libertads, please don’t hesitate to ask. Silver.com associates are available at 888-989-7223, or you can connect with us online through our live web chat or via email.